If a loved one is addicted to opiates, Narcan could be key to reversing an overdose and saving their life, the Ocean County Prosecutor’s Office says. To that end, the Ocean County Opiate Task Force and Project Lazarus will host a Narcan training session on Dec. 16 from 6-8 p.m. at Hope Cathedral Church, 48 Bennetts Mills Road, Jackson. 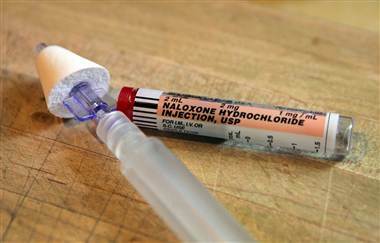 Narcan, also known as naloxone, is administered in a nasal spray to overdose victims and reverses the affect of opiates – such as heroin and prescription painkillers – on the body which potentially allows a victim to begin breathing again. A total of 75 free Narcan kits will be available after the training. There is no need to pre-register; the program is funded through seized proceeds from drug dealers. To date, the drug has reversed 118 overdoses in Ocean County this year, said Al Della Fave, spokesman for the Ocean County Prosecutor’s Office.